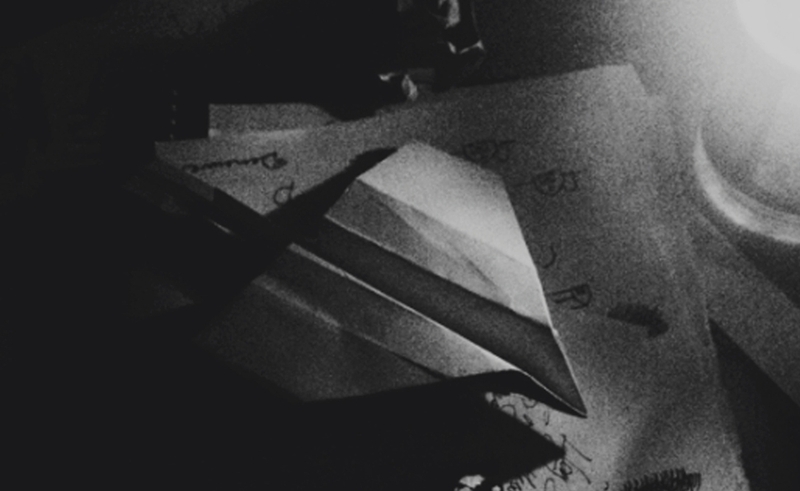 Each month in Frames, graphic designer Sam Smith creates a custom poster for The Dissolve and writes about the film and his inspiration for the design. October is a month of change. A time where we watch the season start to transition, see the leaves start dying, feel the wind start cooling. Some people might start to imagine burrowing away for a long winter, gathering from autumn’s ashes the means for sustenance, warmth, and keeping our minds active, our creativity alive. That first fall breeze always reminds me of things, like the New York Film Festival, where I had some transformative movie-watching experiences in college. At that same festival this month, I saw Hayao Miyazaki’s purported final film, The Wind Rises, but not before writing this piece or designing this poster, which I drafted a week or two before it went live on the site. So yet again, as I pay tribute to one of my all-time favorite directors, whose films have meant so much to me, I’m designing a poster for a film without seeing it, relying on basic facts and (mainly) my imagination. I’m getting the sense that with each passing month writing this column for The Dissolve, I’ll be enjoying taking the liberty of straying further and further from the typical rules and assumptions of contemporary movie-poster design; it’s a rare opportunity, especially in front of such a hospitable community of open-minded readers, so why not? In this case, I’m following an aesthetic path I’ve always found tantalizing: Using a photograph as a stand-in for subject matter that is specifically non-photographic. Here, it’s a photographic poster for an animated film. As is the case with the Polish and Cuban posters I’ve shared in past posts, we often see cartoon, hand-drawn representations of live-action films, but hardly ever the opposite. There’s something sacred and so specific about the look of an animated film that perhaps has always dissuaded those representing it from veering away from a faithful presentation of its imagery. To me, there’s no animator more sacred than Miyazaki. Don’t get me wrong, the classic Disney animated films hold a magical place in my heart, but in how many countless iterations have we seen those old-fashioned images of Cinderella, Snow White, or Sleeping Beauty manifested—as modern costumed performers, walking mascots, or inflatable balloons? Though Studio Ghibli has allowed carefully curated merchandise to enter the marketplace for its fans, its filmic imagery has remained relatively pure. It’s a more manageable idea, to me, to honor The Wind Rises with an interpretation that doesn’t even try messing with Miyazaki’s original images. Though Western press around The Wind Rises has mostly focused on Jiro Horikoshi, the Zero plane designer who inspired Miyazaki—a lifelong lover of flight—and his protagonist, the film is also dedicated to and inspired by author and poet Tatsuo Hori, who wrote a story that shares the film’s title. Going even deeper, within that book Hori quotes a line from Paul Valéry’s poem “Le Cimetière Marin” (“The Graveyard By The Sea”), which translates roughly as “The wind is rising; we must live.” Knowing even the very little I know about the film before seeing it, this quote, which Ghibli is using as a tagline of sorts, had a lot of meaning to me. Reading a few early reviews, I understood that Miyazaki’s final film might be exploring some prescient themes, personally and globally, concerning creative determination and the drive to carry on through difficult conditions. 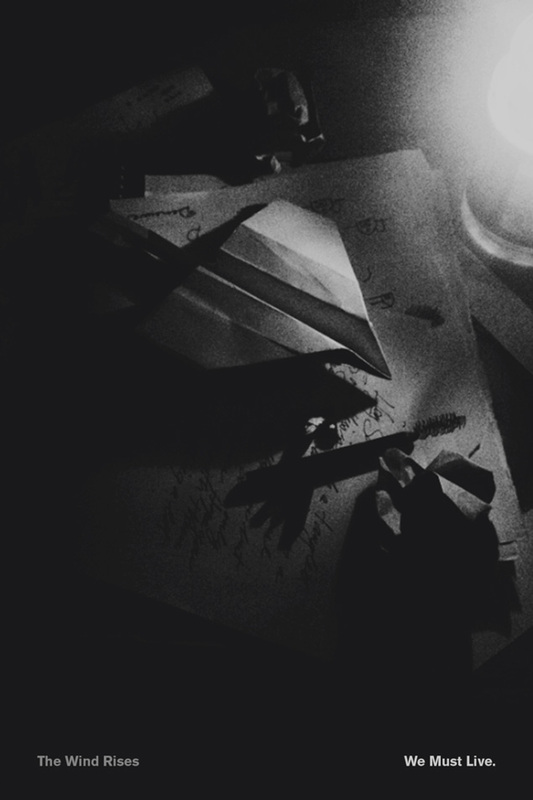 At least, this is the idea the quote inspired for me: The image of a crude paper airplane lit by candlelight atop a messy, exhausted workspace, which I quickly re-created and photographed at my desk. The maddening landscape of an artist’s desk is a familiar one to any creative, and Miyazaki has made special effort to capture this image for posterity among the rooms of the Ghibli Museum in Tokyo. There, young and old visitors get a sense of what an animator’s studio might really look like—something like the most opulently inspired prison imaginable. I would share photos of this here, but in the magical Ghibli Museum, the closest thing on the planet to Willy Wonka’s Chocolate Factory, cameras aren’t allowed. Despite the lack of non-animated-looking posters for animated films out there, my photographic approach to creating this poster for The Wind Rises isn’t meant to be irreverent, but rather my own personal interpretation of what the idea of Miyazaki’s last film inspires in me, with some visual influences in mind that just so happen to exist worlds apart from the aesthetic of Japanese animation. In fact, the influences on my piece this month don’t have a lot to do with film at all, but this is where they have re-appeared nonetheless. 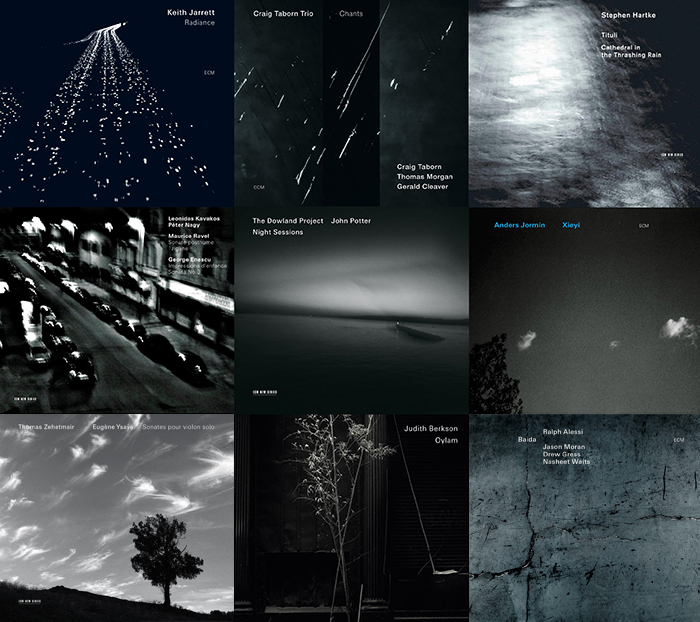 The album covers of record label ECM have always appealed to me in their humble simplicity, but the release of a new book collecting them all together really made me take notice of them again. Album covers have it easy when it comes to interpretation; with something non-visual as its subject, the album cover can go in literally any direction and get away with it. 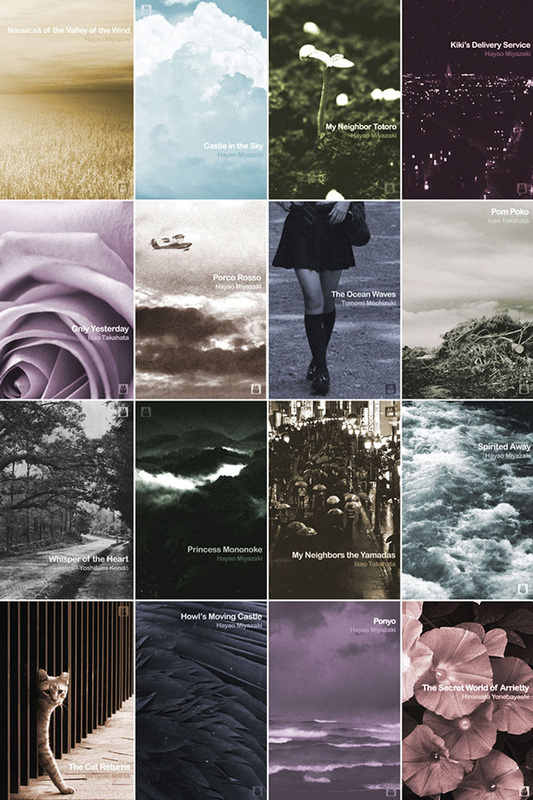 These covers specifically, using an aesthetic as particularly austere as photography, go right into the inspiration pot that must have produced this month’s poster design. These were probably inspired by a series of small Bible books I admired as a bookseller, which had beautiful black-and-white photographic covers with sans-serif type. I haven’t been able to re-locate these in person or online (anyone? ), but I was really inspired by these at the time, for taking stories we’ve always seen pictured in one certain aesthetic, and presenting it in a totally different way. As I continued to admire and collect book covers, I eventually found many others that did this too. 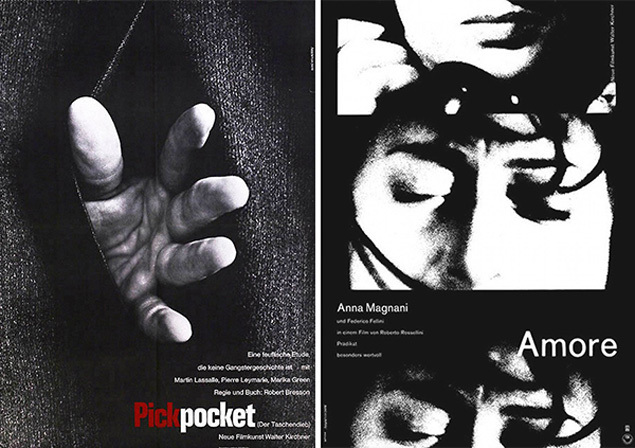 And as I became a poster-lover, I quickly came to admire how German designer Hans Hillmann often represented the movies he was assigned with black-and-white photography and clean Grotesk type (Grotesk being German for sans-serif, i.e. without the small lines at the ends of each letter stroke). As I was putting the finishing touches on this design, looking for where to place the type that would most please my own eye, my mind returned to one of my favorite designs: a poster by beloved Japanese designer Kazumasa Nagai. I was inspired by this to tuck the type into the poster’s corners, a minimal approach that wouldn’t ever fly with today’s studios. 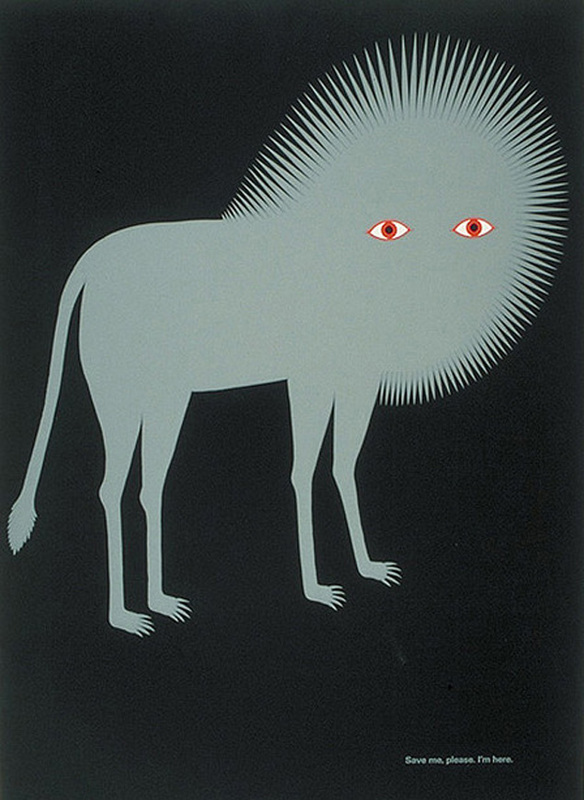 Nagai’s poster, and his work in general, seems to share an uncanny kinship with the themes and ideas running through Miyazaki’s great body of work, so I’ll end here and let this image linger. Sam Smith is a musician and graphic artist from Nashville, Tennessee. He has designed theatrical posters for clients including Janus Films and IFCFilms, limited-edition screenprints for the Belcourt Theatre, and numerous package designs for The Criterion Collection.